Check out all the best deals running in the upcoming Harris Teeter ad. Sales begin 4/29 through 5/5. Grab an 18 count of Eggland’s Best eggs for $1.90, Garnier Fructis haircare for 99¢ and B1G1 chicken breasts or tenderloins. 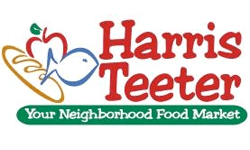 Please leave a comment below if you find any extra deals on your Harris Teeter shopping trip. Cantaloupe, at $3.99 ($1.99) ea. Fresh Hot House Cucumbers, $1 ea. Fresh Organic Green Cucumbers, 99¢ ea. Fresh Organic Mangoes, $1.50 ea.